Pakistan is the 4th largest rice exporter in the world. Homeexport ricePakistan is the 4th largest rice exporter in the world. Pakistan is one of the largest rice producing countries, having annual production of more than 6 million tons, Rice, after wheat, is the second largest commodity consumed in the country. Its annual local consumption crosses 2.5 million tons mark and it is considered as poor man's meal. 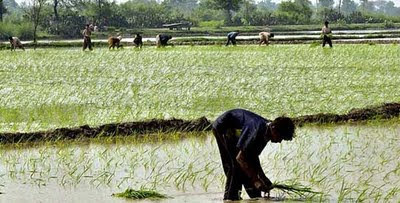 Pakistan�s top rice export body said that, it aims to export 4 million tonnes in fiscal year 2010/11, about 1 million tonnes more than previous estimates made after destructive floods in August. 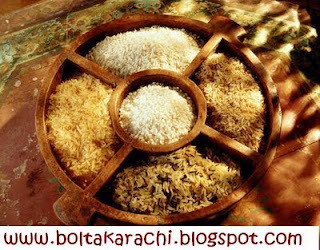 Rice is Pakistan�s third largest crop after wheat and cotton and contributes about 1.6 percent to the country�s gross domestic product. The rice exporting countries on the list below are responsible for 97% of world rice exports, led by Thailand. 4. Pakistan � 3.314 million tons (11.0%) year 2010. 15. Myanmar � 150,030 tons (0.5%). Rice occupies 2.5 million hectare that is 10.9% of the total cultivated area with production of 5.1 million tonnes of milled rice (Table I). In Pakistan�s agrarian economy rice plays multifarious roles. Firstly, it is second staple food and contributes more than 2 million tonnes to our national food requirement. Secondly, rice industry is an important source of employment and income for rural people. Thirdly, it contributes in the country�s foreign exchange exchequer. For instance, during 1999-2000 about 2 million tonnes rice of worth 26 billion rupees was exported. The barter trade on Afghanistan border was in addition to this export. The significance of this commodity in our economy is evident from the above facts. Therefore, it is imperative to focus on the efforts needed to further improve its competitiveness in the international market. In Pakistan, rice is grown under diverse climatic and edaphic conditions. Basmati predominates in traditional rice tracts of Punjab (zone 2). In Swat (zone 1) at high altitude mountain valleys, temperate Japonica rices are grown. 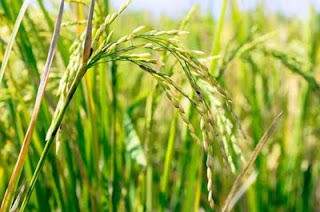 In the South of NWFP, Sindh and Balochistan (zones 3 and 4) IRRI type long grain heat tolerant tropical rices are grown. AREA, PRODUCTION AND YIELD OF RICE. The overall situation regarding rice in Pakistan for the year 1947-48 to 1999-2000 is shown in table-1. The data show that there is quantum jump in the rice production in sixties due to large scale adoption of high yielding semi-dwarf varieties. Since then there is marginal increase in the production. Rice area is also gradually increasing. Zone-1. 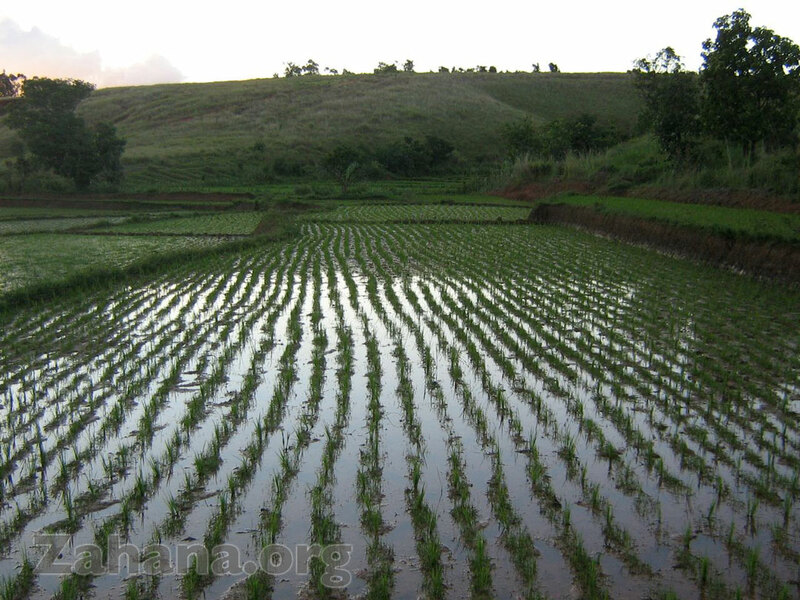 It consists of northern mountainous areas of the country and irrigated rice is grown either in flat valleys or terraced valley-sides. The climate is sub-humid monsoon with 750 to 1000 mm average rainfall, mostly concentrated in summer. Cold damage to rice crop due to cool air temperature and cold irrigation water are major problems. The water temperature seldom exceeds 18oC in water channels. Low temperature stress causes leaf yellowing, stunting in the seedling in early vegetative stages, delayed heading and sterility in the reproduction stage. The modern high yielding rice varieties and the fine Basmati types are not successfully grown in these areas. Berseem, wheat, barley onion are grown in rotation with rice. Zone-2. It lies in the broad strip of land between rivers Ravi and Chenab where both canal and sub-soil water are used for irrigation. The climate is sub-humid, sub-tropical type with 400 to 700 mm of rainfall mostly in July-August. Rice growing season is fairly long and suitable for cultivating fine aromatic as well as some IRRI varieties. The "Kalar" tract which is abode of the world famous Basmati rice is located in this zone. Wheat, berseem, sunflower, watermelon are grown in rotation with rice. Zone-3. It consists of the large tract of land on the west bank of river Indus. It has an arid sub-tropical climate with 100 mm of average rainfall and maximum temperature higher than zone 1 and 2. The impeded drainage and excessive water application to rice has resulted in high water table. 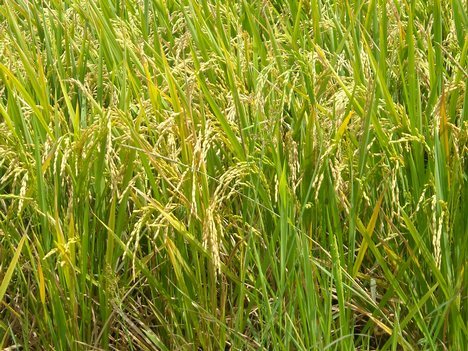 The long, extremely hot summers are well suited to growing coarse rice varieties. Gram, wheat/barley, oilseed, lathyrus, sarsoon, pulses, coriander and berseem/alfa are grown as rice based cropping system. Zone-4. It is the Indus delta which consists of vast spill flats and basins; the latter are mostly irrigated. The climate is arid tropical marine with no marked season and is highly suited to coarse varieties. Wheat, berseem and pulses are grown in rotation with rice. 4. RECOMMENDATION FOR ENHANCING PRODUCTION. To meet the ever growing domestic needs of food and enhance exports and to achieve sustainability and stability of rice production the following research areas would receive priority. (i) Modification of plant architecture. (ii) Development of hybrid rice technology. In order to develop appropriate management practices, sustain soil fertility and high yields, it is vital to understand the kinetics, transformation and interaction of essential nutrients in rice and other crops grown in rice based cropping systems. Inclusion of legumes in the rice based systems would be one of the options to sustain soil fertility. There is also need to increase nutrient use efficiency, minimize fertilizer losses and increase the use of biofertilizers. - Develop techniques for the conservation of biocontrol agents in rice and rice-based cropping systems. - Develop pesticide reduction technology for the management of insects, weeds, rodent pests etc. - Screening and evaluation of rice germplasm under greenhouse and field conditions for resistance to major insect pests. - Develop cultural control methods of different categories of pests.